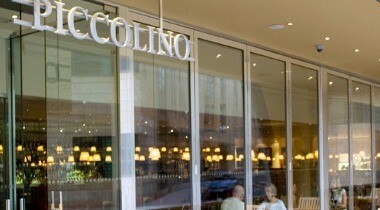 Located in Trinity Gardens in the heart of the Quayside in Newcastle, Piccolino brings a true taste of Italy to the heart of the city. The restaurant offers a wonderful combination of both modern and classic Italian dishes prepared in an open kitchen in full view of diners. Seating up to 170, the restaurant is the ideal place for a christening, wedding reception or festive party.